Latvia is an endless parkland of sea, lakes, and forests. Despite it’s known as an escape to nature, it’s a modern and innovative country. The population and life are mostly concentrated in just one city – the cosmopolitan capital – Riga. 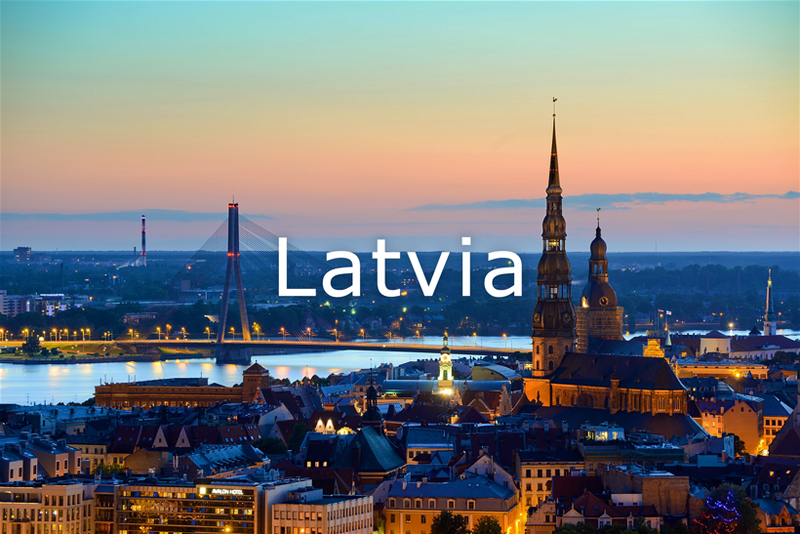 Our servers in Riga are ultra fast, stable and have no traffic limits, so you can enjoy the free access to all Latvian online media anywhere in the world. Additionally, if you are traveling abroad, you will still have access to your accounts. It may be your online banking or simply music streaming apps. Get Latvian IP address and access websites like LTV1, LTV7, TV3, 3+ Latvia and more. Whether you are a resident or visiting Latvia, keep in mind that maybe the governance doesn’t possess the major threat for the online freedom (Latvia is ranked 24th in the 2018 World Press Freedom Index), still untrusted networks, like public Wi-Fi hotspots, and hackers can lead to personal data leaks, e.g. exposing your bank details. Protect your privacy by encrypting your Internet traffic. By the way, if you want to use P2P applications or torrenting, you need to connect to Sweden or Switzerland VPN locations.